I'm going to wait to tell you about specific attractions and places to eat in later posts and tell you instead about a few tips that still help me tour effectively and happily when I visit Disney World. 1. 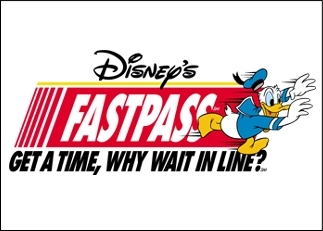 Fast Passes: If you haven't heard of Fast Passes or aren't sure how they work, read up on them before you head off on your vacation. They allow you to stand in a "virtual" line while you go enjoy other aspects of the park you are in. You can only get one per ticket per time slot, but they're well worth it for major attractions that have a line over 45 minutes long. A common misconception is that Fast Passes are only for people staying on Disney properties. Anyone can use Fast Passes, and my family uses them constantly while traveling at peak and off-peak times. Read here for more details from the Mouse! 2. Stay on Property: Take a minute to let this truth sink in: Disney is not cheap, but it is definitely affordable. Disney Resorts come in value, moderate, and deluxe levels. Staying on Disney property is about as affordable as staying in a Holiday Inn down the street, and you get many, many more perks! It's Disney themed, you can get the Disney Dining Plan, Disney Transportation usually rocks (and is free), and it's honestly just more magical! Try it once, and if it's not for you and yours, cool, stay off property next time, but you need to try it at least once. 3. 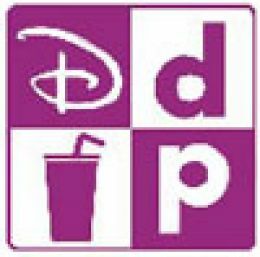 Use the Disney Dining Plan: The Disney Dining Plan, DDP, is a great deal! There are different levels to choose from, and it ends up being close to the same amount that you would spend on food out of pocket. However, it allows you to pay for meals ahead of time and not worry about spending the extra money on food once you get there. Best of all, Disney runs specials all the time that give you free dining when you book for a certain number of days! That's one of the BEST deals out there! 4. Rest Time: Biggest mistake first time visitors make is that they try to do it ALL on the first day. Plan your trip long enough that you can take your time in the parks, and make sure that you rest midday. A trip back to the resort for a nap or a swim, or even a calm meal or show in the afternoon is a good time to get your energy back. If you cannot plan enough days to do justice to all four parks, I suggest focusing on Magic Kingdom and the other park(s) that look the most interesting to your family. You will most likely decide to visit again! If you exhaust yourself mentally and physically the first day, the rest of the trip will not be nearly as fun. How do you know it's rest time? The kids AND the adults start to have temper tantrums and breakdowns! Try to take a rest before this happens, as meltdowns are definite dark clouds on an otherwise amazing experience. 5. Research Ahead of Time: One blog post or Magical Blogorail ride is simply not enough to prep you for this trip. If you're going to Disney World, you need to be at least a little familiar with the Parks, Disney Transportation, and attractions. I advise that you at least pore over the Walt Disney World website. Touring Plans is a great website (subscription needed) for learning what crowd levels to expect and how to make the best of your time touring the Parks. The DISboards are message boards where people share tips and chat about Disney Parks. It's a blast to join along or just lurk and read. Either way, the more you know ahead of time, the better you'll be able to relax and enjoy your vacation! **OK I had to go over five because I just remembered another one! Get a Times Guide as you enter each park. The Times Guides at the resorts are basic park hours and such. The ones in the individual Parks (beside the maps as you enter) give specific times for that Park including shows, parades, and fireworks. It's small enough to stick in your pocket, and it will save you from missing amazing things! Next few posts (set to publish on Tuesdays and Fridays) will feature Top 5 Must Dos for all 4 Parks at Walt Disney World as well as a 5th "out of the parks" list at the end. What are your general must dos for Disney newbies? Better yet, what do you wish you'd known the first time around? I think you Real Time tip is the best! So many people ruin their first trip trying to go comando. Great tips! We definitely take midday breaks (with three little ones this is a must!). It keeps the kids from becoming overstimulated and the adults can rejuvenate before another round of park touring. I am looking forward to your series! I agree with all of the above. Good post! I would also mention that if your child is dying to meet a certain character, the Times Guide contains locations & times for many of them throughout the park! Makes it easier to plan to meet Jessie & Woody when you will be in that area already. Mary & Beth - I've toured WDW with and without children, and I find even without them, I still need a rest of some sort midday at least every other day. I love the Dining Plan! Some will argue, but I think it was a brilliant plan on Disney's part. I never would've eaten at some of the restaurants had it not been for the plan. Great post, Joanna! Great tips. I agree that grabbing a Times Guide is a definite must-do. No matter how many times you go, it's a good reference to help decide what you want to do next.